The Way of Saint James is a pilgrimage route associated with the process of Iberian christian expansion from Asturias and León since the IXth century. It is difficult to explain his spiritual strength or to summarize the repercussions that it triggered in all the levels. 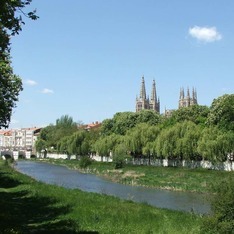 As for the city of Burgos, it contributed to its economic and social growth with the traffic of pilgrims and the arrival of French and Jewish merchants. 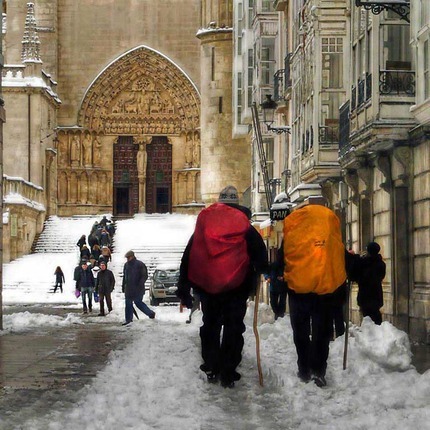 All this movement originated along the current street of Fernán González -the urban road of the Camino de Santiago in the medieval city- still runs: the streets of the Way of Saint James in Burgos are walked daily by pilgrims from all over the world. The Camino de Santiago was declared a World Heritage Site in 1993.